HONOLULU – Gov. 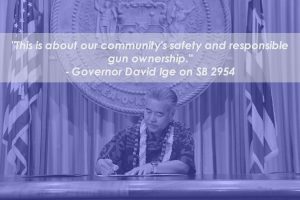 David Ige signed SB 2954 (ACT 108) which authorizes county police departments in Hawai‘i to enroll firearms applicants and individuals registering their firearms, in a criminal record monitoring service. The system, also known as the “Rap Back” system, is a service of the Federal Bureau of Investigation that provides continuous criminal record monitoring for authorized government agencies such as law enforcement agencies. The service notifies the agencies when a firearm owner is arrested for a criminal offense anywhere in the country. This will allow county police departments in Hawai‘i to evaluate whether the firearm owner may continue to legally possess and own firearms. The law also authorizes the Hawai‘i Criminal Justice Data Center to access firearm registration data. “This is about our community’s safety and responsible gun ownership. This system will better enable our law enforcement agencies to ensure the security of all Hawai‘i residents and visitors to our islands. This bill has undergone a rigorous legal review process by our Attorney General’s office and we have determined that it is our responsibility to approve this measure for the sake of our children and families,” said Gov. David Ige. Gov. 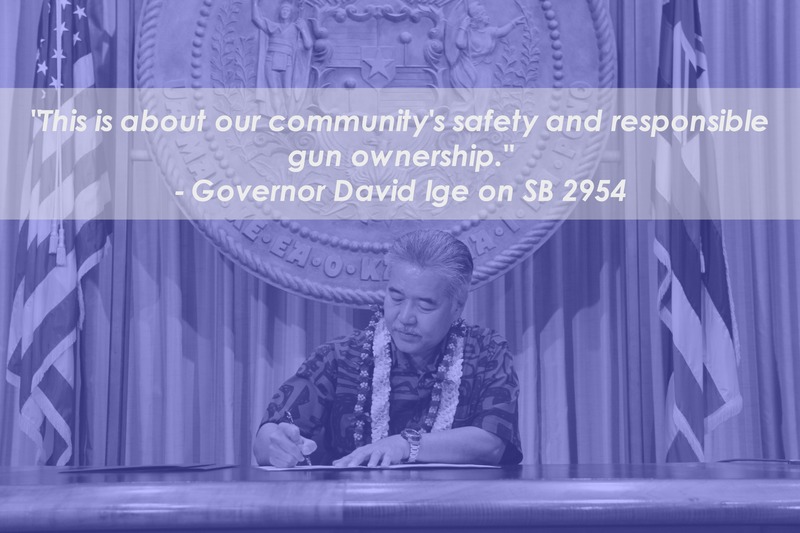 Ige also signed HB 625 (ACT 109) and HB 2632 (ACT 110) Relating to Firearms. HB 625 specifies that harassment by stalking and sexual assault are among the offenses that disqualify a person from owning, possessing or controlling any firearm or ammunition. HB 2632 requires firearms owners to surrender their firearms and ammunition to the Chief of Police if they have been disqualified from owning a firearm and ammunition for the following reasons: Diagnosis of significant behavioral, emotional, or mental disorder, or emergency or involuntary hospitalization to a psychiatric facility. This measure authorizes the Chief of Police to seize firearms and ammunition if a disqualified firearms owner fails to surrender the items after receiving written notice.